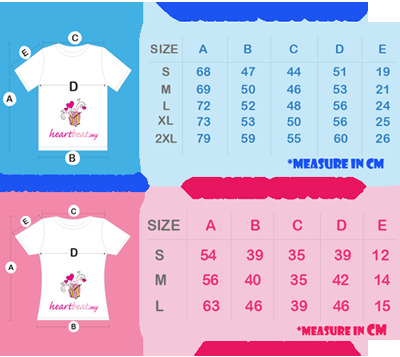 Why you should get a set of Couple Tee? - As a gift to remember special moment. - As a symbol of your commitment towards your loved one. - To instantly cheer someone up. - To be different from the other couples on the street. - This gift will definitely stands out from the others given and also a truly a memorable ones !!! Material Type : - Dryfit Tee & nice packaging. To print your name on Male Tee & Female Tee at RM5 each only, please click here.